Kealohalani, or more commonly known as Lilo, is currently a Junior here at La Joya Community High School in Avondale, AZ. She played for the La Joya girls basketball team during her freshman and sophomore year. This year she is going to focus more on her academics. Lilo isn’t an outspoken person or adventurous but she does have a lot to say when it comes to a topic that sparks her interest. 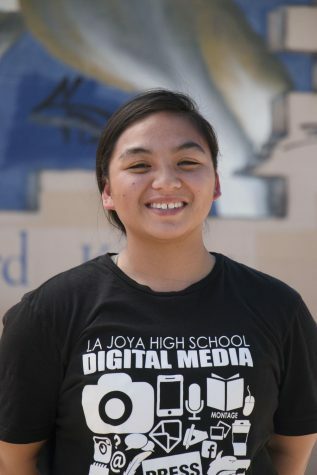 She’s currently helping the yearbook staff write articles for La Joya’s online newspaper, create the yearbook, and sometimes helps edit videos for the daily announcements for her third year in high school. Her yearbook buddy is Veronica Palomino. After high school, she hopes to attend Northern Arizona University to get a Masters degree in Earth Science.